YANG (active, aggressive side). Inside-Out: marketing and selling your venture opportunity aggressively to appropriate sources of funding. Bootstrapping is a means of financing a small firm through highly creative acquisition and use of resources without raising equity from traditional sources or borrowing money from a bank. It is characterized by high reliance on any internally generated retained earnings, credit cards, second mortgages, and customer advances, to name but a few sources. VC receiver side. Only 6 out of 1000 innovative ideas get funded by venture investors on an average. The main reason for rejection is that though first-time entrepreneurs may have great technology or business ideas they lack skills for converting these ideas into a successful business. To venture capitalists, "ideas are a dime a dozen: only execution skills count." VC supplier side. The size of the angel market could potentially become 10 to 20 times larger, however. It is estimated that only 7% of potential business angels invest in start-up ventures. The remaining 93% are virgin angels who would like to invest but don't do it for a number of reasons, which include lack of proposals matching their investment criteria, lack of quality business proposals, lack of trust in the → entrepreneur or → management team, underdeveloped strategy that should have a strong → sustainable competitive advantage , lack of experience in valuating and pricing deals, and lack of experience in due diligence and monitoring. Technology ventures demand an unbroken financing chain, from pre-seed capital to stock market. The financing chain is no stronger than its weakest link. Venture investing is a process by which investors fund early stage, more risk-oriented ventures. Being a principal funding source, venture capital can not finance innovation on its own. Too many VC firms remain unwilling to invest in high-tech start-ups in the early stage, often because they lack the investment appraisal capacity to act as the "first investor". To be fully effective, venture capital must form part of an unbroken investment chain, from seed capital to stock market. Corporations are a major - and rapidly growing - source of funds for new ventures. In today's → new entrepreneurial economy, the real shareholder value is created by companies whose corporate strategies include well-developed venture strategies. 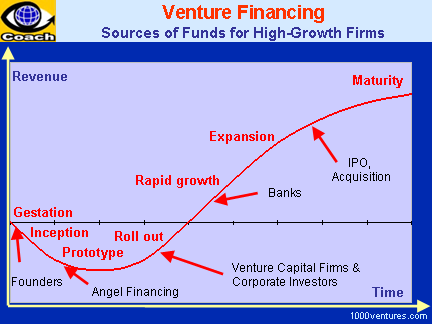 Stock markets for high growth companies stimulate venture capital activity by offering an 'exit route' of flotation. 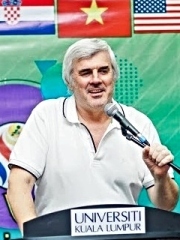 They offer a means for venture capital funds to realize a return on investment in new companies. Compared with other exit routes, typically an Initial Public Offering (IPO) realizes the greatest return on investment.